for a special four-course dinner with Señora Berta! Señora Berta is a treasure! Her love of cooking for others has spanned over 50 years. She began cooking at the age of eight in her home state of Michoacán, México. Taught by her beloved Mother and Grandmother, and later Sonia Solis of México City, she has a deep understanding of the old traditions and methods of making true Mexican dishes. 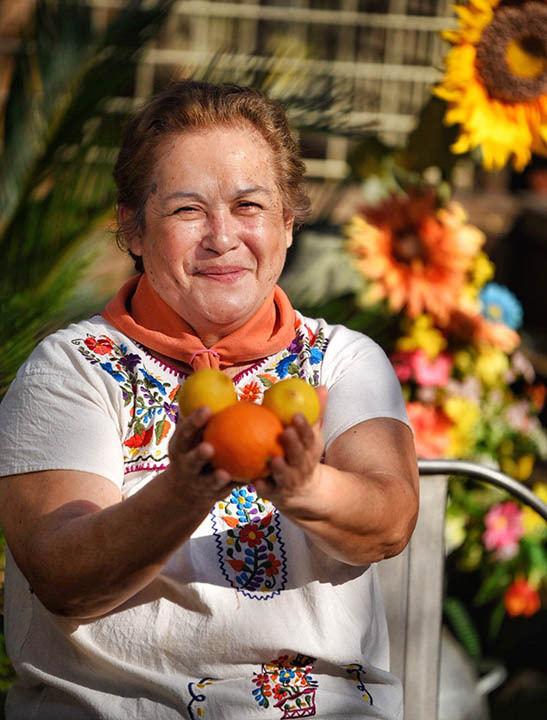 Like Diana Kennedy, Señora Berta has devoted her life to the study and creation of real Mexican food – she is a master of gastronomy and a teacher through the foods that represent a history of our culture. We’re honored that she has graciously agreed to cook this special dinner for us! We’ll start with a welcoming cocktail, created just for the evening. A taste of the garden! 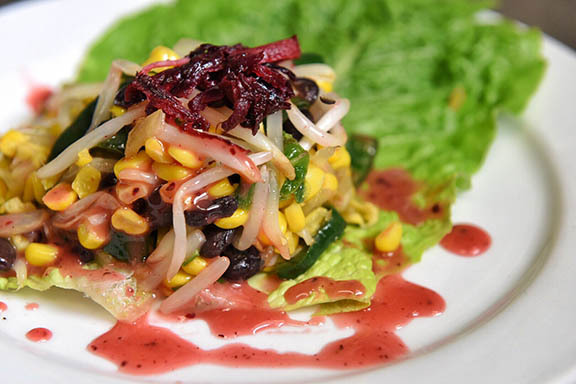 An ensalada made with fresh poblano, corn, bean sprouts and black beans drizzled with a house-made raspberry dressing. 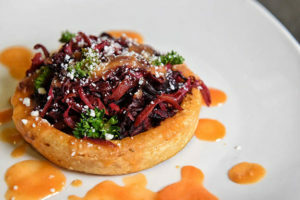 A traditional Sope (masa cake), made with Jamaica (hibiscus), jicama, pinto beans, fresh carrots, agave nectar and Queso. 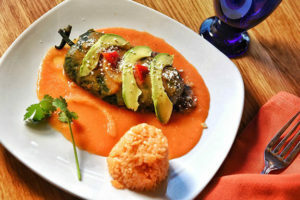 A fresh, fire-roasted Poblano stuffed with marinated, shredded chicken, Queso, a to-die-for onion -tomato sauce and topped with creamy avocado. A second cocktail will be served to pair with the entrée. 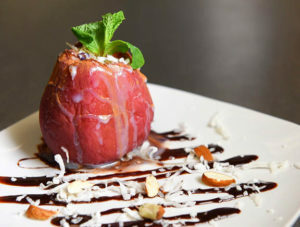 A beautifully baked apple, spiced with cinnamon and stuffed with mild Mexican cheese and coconut, then drizzled with white caramel. Vegan choices will be available, of course. Reservations required – as always, our Harvest Club Members pay only $35 and may purchase 3 seats and receive a 4th Free. This means you can bring a friend! General public $45 – but you can JOIN and get the discount, so why wouldn’t you?